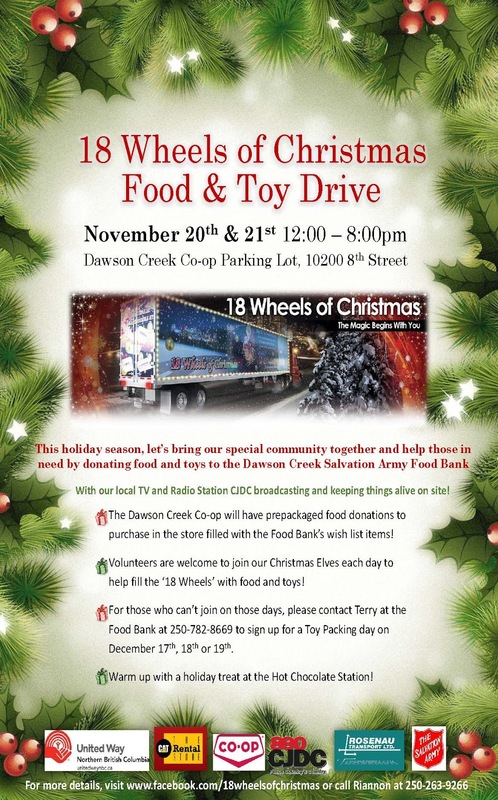 Dawson Creek Is Hard At Work Planning our 2015 Campaign ! The 2015 Season Gets Underway ! 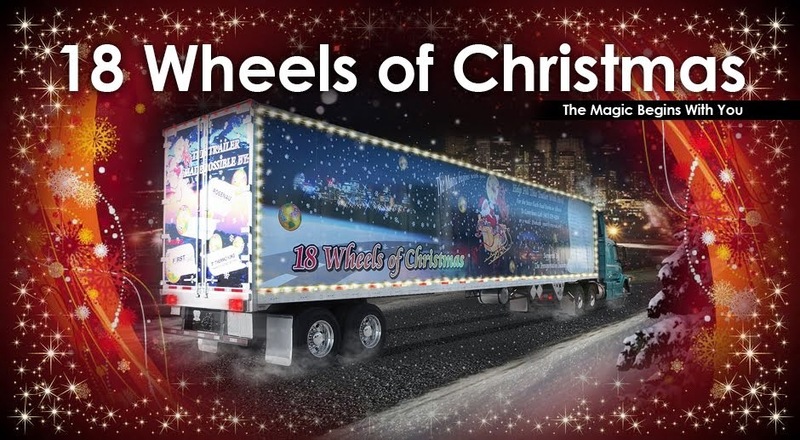 18 Wheels of Christmas has launched for our 13 year of working together with local businesses in support of the Food Banks in our communities!!! We have an exciting line-up this year for Calgary’s campaign and are very anxious to share it with you. Our empty food collection boxes will start being delivered to our loyal supporters starting the 3rd week of October. We wrap these boxes in Christmas paper to make them more attractive and eye catching for the businesses who request them for their lobbies. November 20th – Holiday Light Up Okotoks 5PM – 9PM; this is a street festival attended by thousands every dollar and food donation collected in Okotoks is turned over to their local Food Bank!!!! November 27th – 29th Heritage save-on-foods; this will be a 48 hours event starting at 4PM on the 27th until 4PM on the 29th. 95.3 The PEAK and 101.5 KOOL FM will be broadcasting live Saturday and Sunday. December 4th – Fluor Canada Jeans Day Event 6AM – 11AM; an exciting way to spend a Friday morning. December 4th – 6th Panorama save-on-foods; The second of four 48 hour events starting at 4PM on the 4th until 4PM on the 6th. December 11th – 13th Walden save-on-foods; Our third 48 hour event starting at 4PM on the 11th and running until 4PM on the 13th. December 18th – 20th Seton save-on-foods: Our last 48 hour event starting at 4Pm on the 18th until 4PM on the 20th. 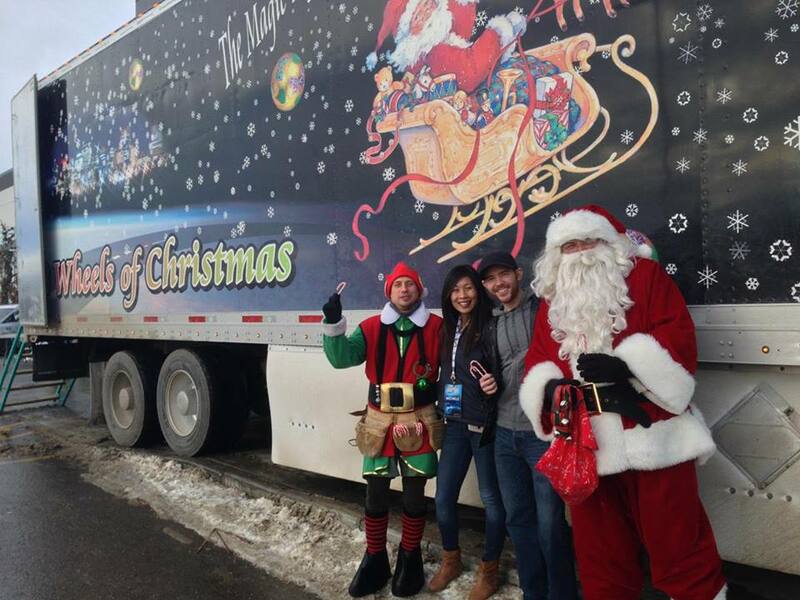 December 22nd 4PM; 18 Wheels of Christmas makes it's final stop dropping off all of the food we collected from all the events this season at the Calgary Food Bank!!!!! We have other exciting events lined up and will keep you posted as the dates are set.